Convoy of Hope domestic and international responses are currently underway. 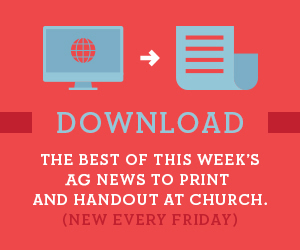 North Carolina's record flooding impacts numerous AG churches, while South Carolina braces for flood waters that are headed its way. AG churches and ministers are still feeling the wrath of Harvey, but aid is already in place and being distributed. Historic flooding left two Louisiana AG churches with hundreds of thousands of dollars in damages and no flood insurance, but God's provision was . . . miraculous!